Extreme Sports are on the rise. At the gym, on the bike, in the park, up a mountain; these are all places where people push their body to extreme limits. Whether you are extreme on your own or an Ironman, triathlete, distance runner, Tough Mudder, or participate in other extreme sports, this article can help you optimize your performance. When you put extreme demands on your body, you want and need your body to respond with precision at the right times. 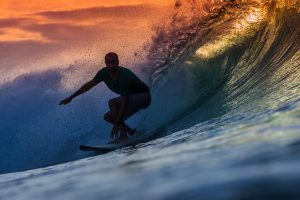 Many professional and extreme sports athletes utilize chiropractic care to keep them performing at peak levels mentally and physically while minimizing injuries and recovery times. Research with athletes and Chiropractic shows that “a single adjustment has the power to improve speed and coordination throughout the entire body.”1 That means the brain-body connection is working much better than before the adjustment. A recent JMPT report offered supporting research. Fifty athletes were given eleven different tests to check athletic ability. Tests were based on agility, balance, kinesthetic perception, power, and reaction time. Twenty-five of the athletes were given Chiropractic adjustments and the other half were not. The results were amazing. The Chiropractic group improved significantly on 11 out of 11 tests and the other group improved only slightly on 8 out of 11 tests. During the reaction time test, the non-Chiropractic group improved less than 1percent, and the Chiropractic group improved 18percent in 6 weeks and 30percent in 12 weeks. If you are an extreme athlete or athletic in any way, there are clear benefits of optimizing the health of your spine and nervous system. From the time you were conceived, your body’s innate intelligence utilized your nervous system to control and coordinate your development and the function of every single cell and system in your body. There are approximately three million different messages being sent from your brain to your body and back every second. Extreme athletes can optimize the efficiency of these pathways with Chiropractic Lifestyle Care that is performance-based. The intensity of your Chiropractic Lifestyle Care depends on the intensity of your lifestyle so as your training intensity increases you may need or want more intense care. Fueling your body with healthy non-processed foods like fruits, vegetables, and lean proteins is also important. As a peak performer pushing your body to the limits, eating healthy organic foods is essential to get the nourishment that you need. Adjust your quality calorie intake according to your training intensity, and eliminate empty calories such as white sugar and white flour that have no nutritional value. When training for extreme sporting events, and for life, keeping your spine and nervous system healthy is crucial to your performance and for your longevity. Most importantly, don’t wait for a crisis or an injury to force you to alter your training or knock you out of a competition. Be proactive and enjoy the excitement that comes with pushing your body to the limits, and succeeding.